Architect: Owen Williams, with Ellis & Clarke. 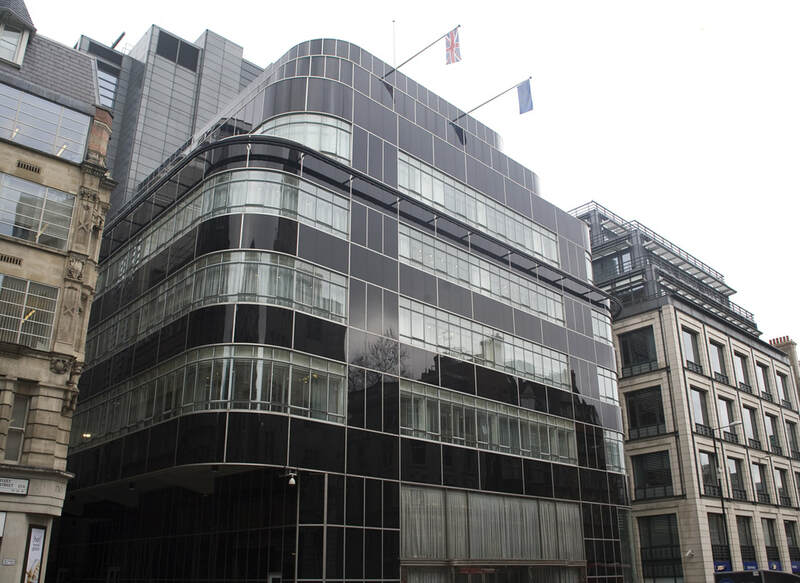 Notes: Former home of the Daily Express newspaper on Fleet Street, originally designed by Ellis & Clarke. Owen Williams was bought in to re-design the scheme, adding a concrete frame and the black vitrolite cladding to the design.